The participants of the conversation discuss the issues concerning social, economic and political processes observed in Russia and China. They discuss how the pace and direction of the development depend on the national character and compare the tendencies towards unification and autonomization in different regions of the world. The modernization process in China is also featured. GRIGORYEVA, Elena. A Conversation Between Elena Grigoryeva with Andrei Bokov on the Topic of the Issue and Some Other Topics…. 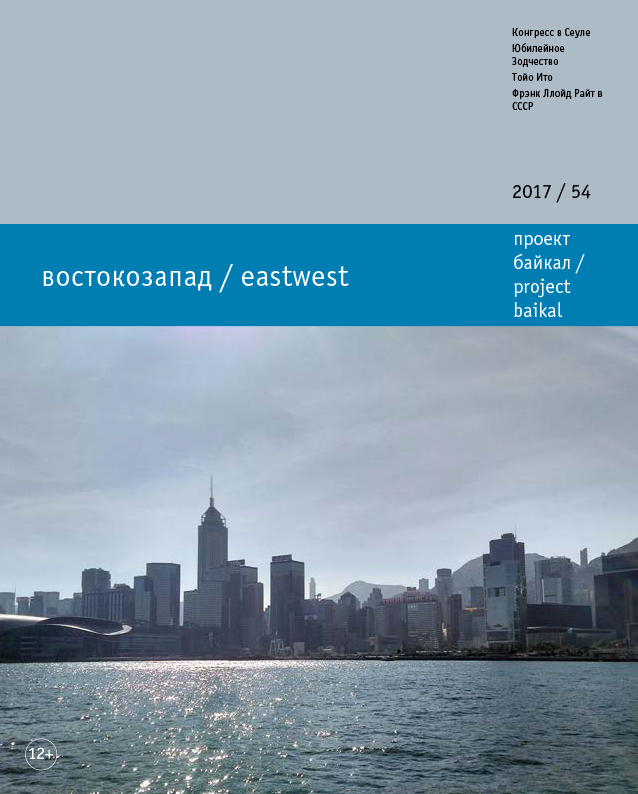 project baikal, Russian Federation, n. 54, p. 41-43, dec. 2017. ISSN 2309-3072. Available at: <http://www.projectbaikal.com/index.php/pb/article/view/1247>. Date accessed: 18 apr. 2019. doi: https://doi.org/10.7480/projectbaikal.54.1247. West; East; China; Russia; globalization; localization; modernization; national character; culture; architecture.